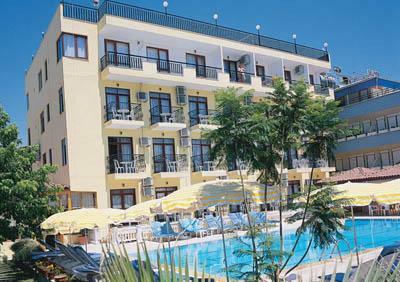 The Sedef Hotel offers simple accommodation, situated in a friendly complex. The sandy beach is close by, so you can soak up the sun and relax on lazy hot days. 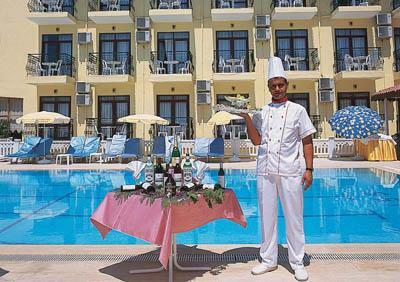 Enjoying a very good location, near the Side, the Sedef Hotel is just a ten minute walk from all the resort's amenities. Reception * restaurant * bar * outdoor swimming pool with children’s section * sun beds and umbrellas at the pool available free of charge. 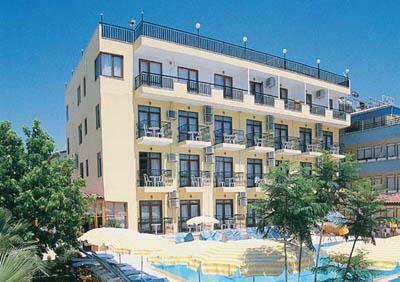 Air-conditioning (split) * most of the room with balcony * minibar * satellite TV * bathroom * telephone.